"Our vision is to be a safe, caring and stimulating school. A community where we all enjoy sharing, facilitating and encouraging each other to reach our full potential in our stage of the life-long learning experience. Within a Christian ethos we seek to grow our social awareness and responsibility, through our acceptance of and respect for people similar to and different from ourselves. We plan and strive for improvement in all areas, but especially in understanding how to communicate effectively and to be safe using today’s technology. We will foster in the community a love for our local area and an understanding and care for the wider environment." Or get some cereal instead. Turn off the tap, don’t go back for a nap. Go and brush your teeth and remember to turn off the tap. Don’t get a bath, just get a shower. At 12 o’clock, you go outside. But really you need to be doing something! You must go and pick up some litter and put it in the bin. If you find bottles or some tins, you put them in the recycling bin. Welcome to our school council section, written by P7! There are 11 members in the school council. At the end of P6, every P6 has to create a speech on what job they want in school council and then Mr. Derrick decides who gets what job. The school council meets once a month. P7 get together in our classroom to discuss what we are going to do in the next few months. School council has organised lots of events to raise money for charity. 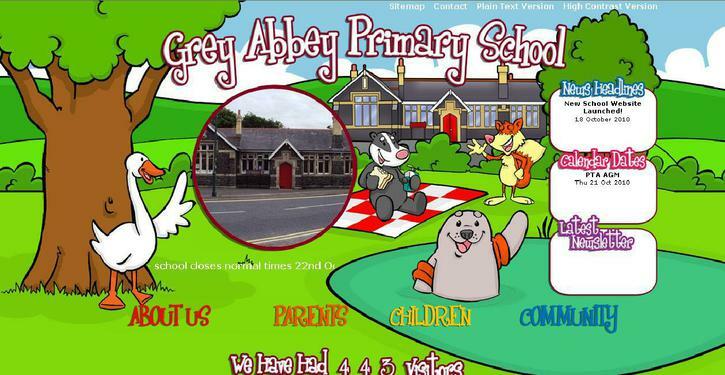 We had a Greyabbey’s Got Talent, raising money for Children in Need, we also sponsored a child through the non-uniform money that was donated to Abana. We are going to organise Red Nose day activities later in the year.